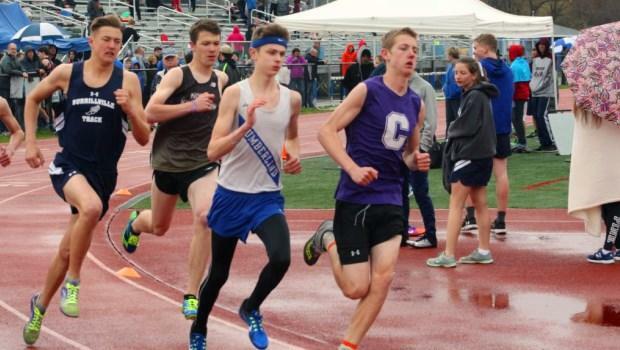 The ninth- and tenth-graders took center stage on Saturday with a record 700-plus participants invading Tucker Field for the annual Cumberland Freshmen-Sophomore Invitational. Despite wet, cold and downright raw conditions, there were several outstanding performances at the six-hour meet. Conor Murphy of Classical dominated the boys' 800-meter run. The talented freshman ran even splits en route to a winning time of 2 minutes, 4.4 seconds. He finished nearly 50-meters ahead of runner-up, Justin Gurkowski of North Kingstown, who was timed in 2:11.4. 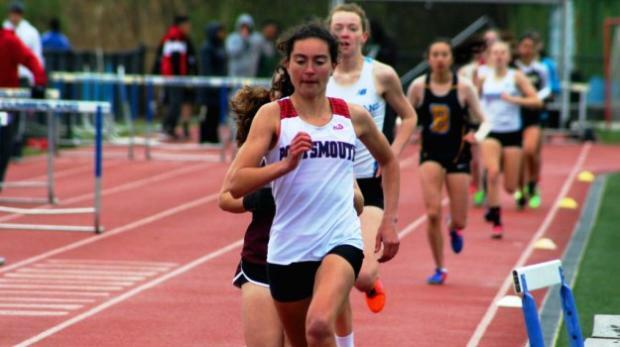 Portsmouth's Elizabeth Sullivan was a wire-to-wire victor in the girls' 1,500m with a time of 4:54.0. East Greenwich freshman Bryn Shunney was second in 5:13.20. Indoor girls' long-jump state champion and freshman Virsava Goretoy of West Warwick won her speciality with a leap of 16 feet. Barrington sophomore Annika Kelly was a double-winner, taking the girls' hammer with a distance of 151-6 and the discus with a heave of 86-5. Hezekiah Adeyeye, a sophomore from Woonsocket, took the boys' 400m dash with a fast 52.1 clocking. Finishing second was Cambden Harrigan of Burrillville in 53.8. North Kingstown's Jack Perrault was third at 54.6. Burrillville tenth-grader Thomas Ames held off frosh rival Ben Chace of Portsmouth to win the boys' 1,500m. He finished at 4:36.8 to Chace's time of 4:37.7. East Greenwich freshman Cody Therault was third in 4:40.3. Bay View's Hannah O'Connor was a convincing winner in the girls' 400m dash where she crossed the line more than three seconds ahead of her closest competitor, finishing with a time of 1:03.4. East Greenwich freshman Caroline Reilly was second in 1:06.5. Cumberland's Dan Collard, a sophomore, was first in the boys' 3,000m with his time of 9:43.7.